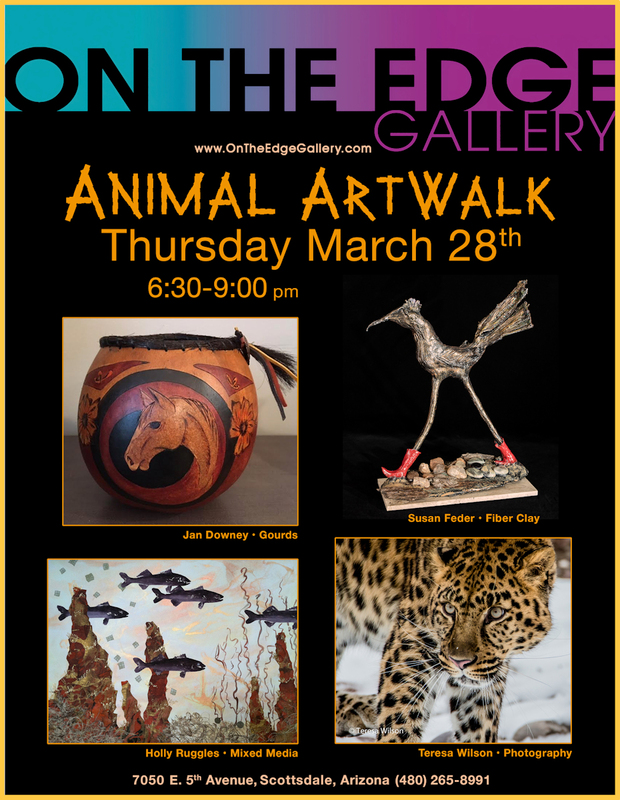 On the Edge Gallery will be showcasing four of our artists who capture animals though their personal interpretations on Thursday night, March 28th from 6:30 - 9:00pm. These artists are eager to share their love of nature and the creativity behind their animal kingdom works of art. 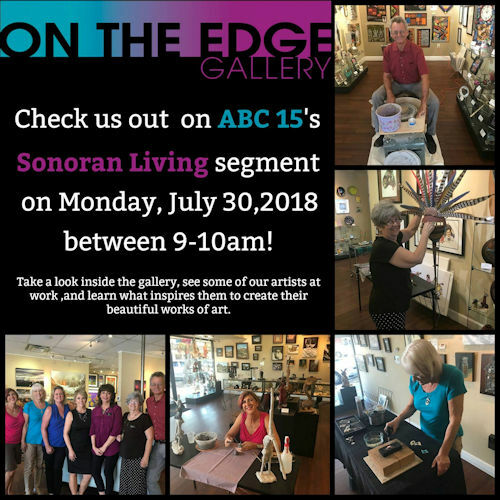 Our featured artists are Jan Downey, Susan Feder, Holly Ruggles, and Teresa Wilson. 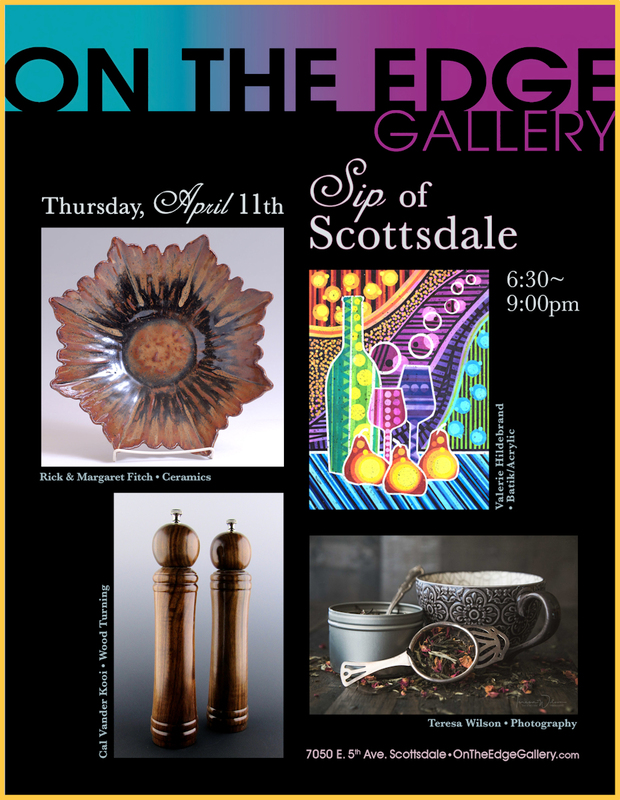 On the Edge Gallery will be showcasing four of our artists who will delight your taste buds with their culinary artworks on Thursday night, April 11th from 6:30 - 9:00pm. These artists are eager to share their love for all things yummy with their cuisine creativity. Our featured artists are Margaret & Rick Fitch, Valerie Hildebrand, Cal Vander Kooi, and Teresa Wilson. In March 2019 On The Edge Gallery will be featuring several of our artists during these special ArtWalks. Hours for these events are 6:30pm to 9:00pm. - Thursday, March 7, 2019 - Desert Bloom featuring Sally Atchinson, Catherine Sickafoose, Jan Stiles, and Teresa Wilson. - Thursday, March 14, 2019 - Mixed Metal featuring Joan Gould, Julia Harmon, Jane Nassano, Gabriel Salcido, and Jan Stiles. - Thursday, March 21, 2019 - All Arizona featuring Bruce Boyce, Catherine Sickafoose, Teresa Wilson. - Thursday, March 28, 2019 - Animals featuring Jan Downey, Susan Feder, Teresa Wilson.